When your toilet falls silent after you flush it, or when your house is silent in the middle of the night, you may notice a dripping sound coming from somewhere inside of your toilet. Finding the source of the dripping noise can prove difficult if you do not know how and where to look. 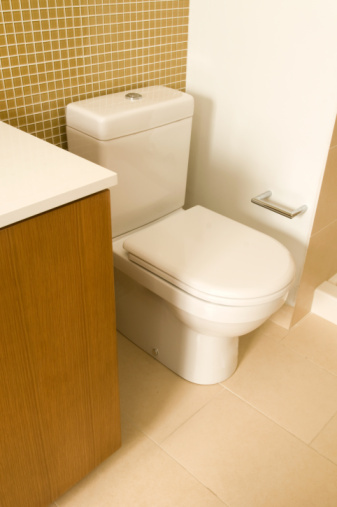 Leaks and other problems can cause the toilet to produce a dripping noise. When you hear a dripping noise coming from you toilet, you are hearing your toilet wasting water. With dripping water faucets, you can stop up the sink or bathtub and check on the amount of water that has gathered after an hour or so, giving you an idea of how much water the water drip wastes. With toilets, though, you do not have the option of capturing the dripping water so you can have a visualization of how much water the toilet wastes. Addressing the problem promptly, though, will stop the water waste sooner, keeping your water bill smaller than if you were to let the toilet continue dripping. By using food coloring, you will pinpoint the source of the dripping if a leak inside the toilet's tank is the source of the sound. 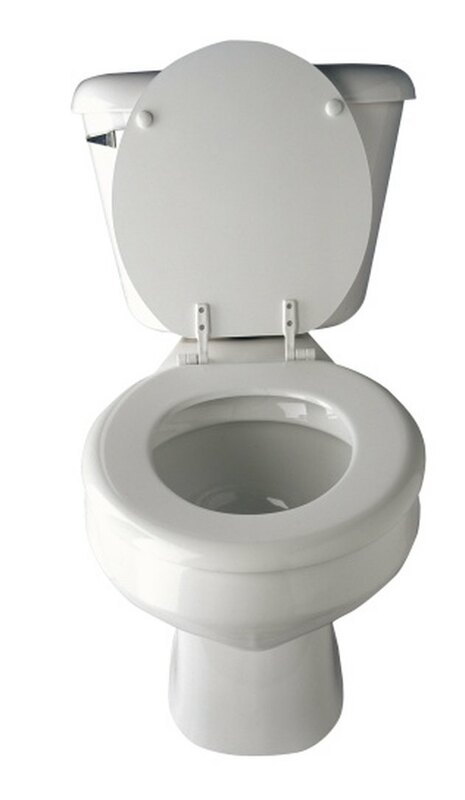 Carefully take off the toilet tank's lid, and set it in a safe spot since the lid will crack easily if dropped. Wait until the toilet's tank sits silently, and drop three or four droplets of food coloring in the water. Use the darkest color of food coloring you have available since colors like yellow may be difficult for you to see in the water. Watch the food coloring since it will be drawn to any leaks in the tank. Replace the part that is the source of the leak. Flappers often cause a dripping sound in the toilet when they first begin to wear out. The flapper controls the flow of water out of the tank and into the toilet's bowl since it covers the large drain opening in the bottom of the toilet's tank. You only need to remove the flapper from the hinge it pivots on inside the tank, unhook its chain from the arm, and install a replacement to stop the dripping noise. If you use the food coloring test and find no leaks in the tank, the source of the leaking likely is the tube from the fill valve that sends water down the tank's overflow tube. When the fill valve refills the tank with water, it uses a small tube, which sits over the overflow tube's opening, to refill the bowl as well. Sometimes the small tube can fall down into the overflow tube, and water starts to siphon out of the fill valve, causing the dripping sound. When you purchase a new fill valve, the kit comes with a small clip that attaches to the overflow tube and the small tube from the fill valve, keeping the small tube from falling inside the overflow tube. What Does it Mean When Your Toilet Sounds Like it Randomly Flushes?